MPM System shown with five probes in inverted configuration. 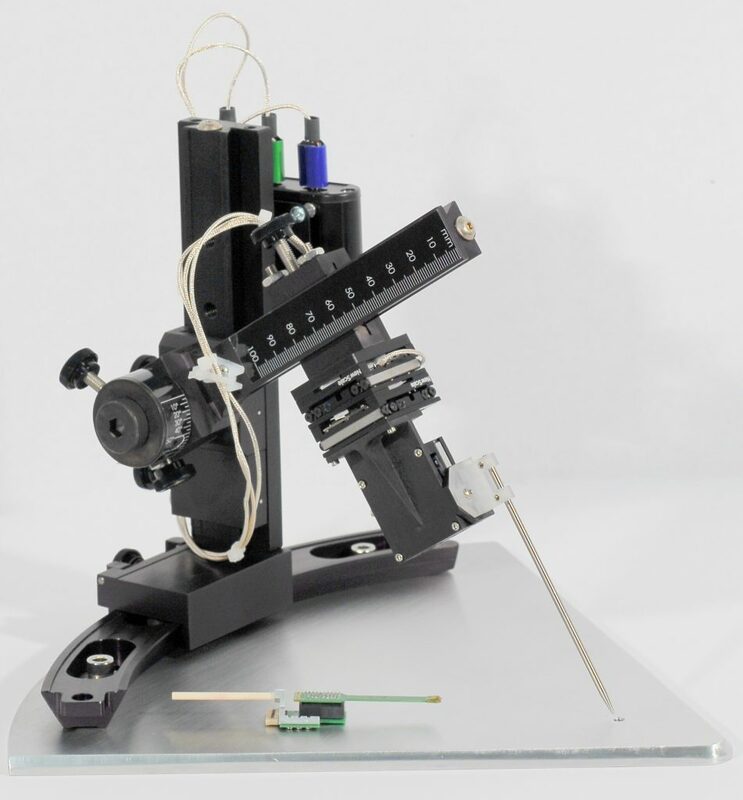 Victor, NY — Nov. 29, 2016— New Scale Technologies unveiled its new MPM Multi-Probe Micromanipulator System for acute in-vivo recording at Neuroscience 2016 this month. Developed in cooperation with leading neuroscience researchers, the MPM System allows for independent positioning of five or more probe arms in the smallest space, with ample clear area for a virtual task environment. It is the first micromanipulator optimized for insertion of silicon probes for electrophysiology and optogenetics. Probe arms are easily mounted on a ring in either upright or inverted configuration on a standard laboratory table. A single USB connects up to five arms to a PC. Each probe arm has four degrees of freedom for initial pre-adjustment, and three axes of motorized motion for automated positioning. The motorized positioners allow precise control of x-y location and z insertion depth, automatically and independently moving each probe to the optimum location in the brain. 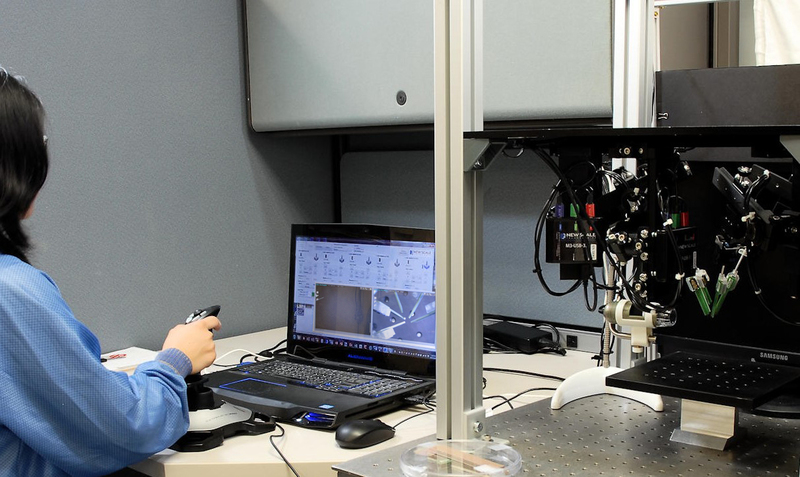 Up to five micropositioners – a total of 15 axes of automated motion – are controlled from a single PC screen using the motion control software included with the system. It includes coarse, fine and insertion step modes with display of absolute and relative positions. The insertion mode disables the x and y axis motion. Optional joystick control is available. In addition to silicon probes with hundreds of channels, the MPM System is compatible with tetrodes and other probes. It can be used to simultaneously position optical waveguides or optical fibers for research combining electrophysiology with optogenetic stimulation. The MPM System is available now. Single-probe systems – including four axes of manual pre-alignment and three axes of precision motorized positioning with control software – start at $7,995. For system configuration and additional pricing information call New Scale at +1 (585) 924-4450 or email NSTsales@newscaletech.com. 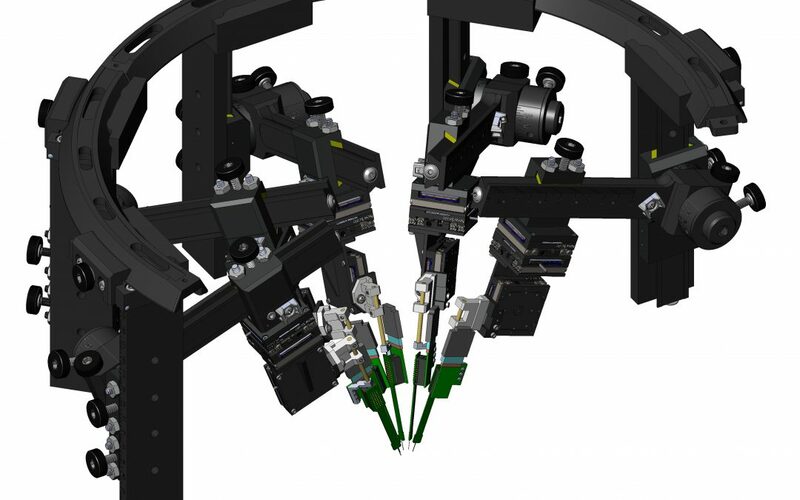 MPM System – single probe arm with four-axis manual pre-alignment and three-axis motorized micropositioning. Shown with metal probe pre-positioning rod. Up to five micropositioners – a total of 15 axes of automated motion – are controlled from a single PC screen using the motion control software included with the system. New Scale Technologies develops and manufactures the smallest and most precise closed-loop positioning solutions available. Our “all-in-one” M3 Smart Modules – piezoelectric motor systems with built-in controllers – are easy to integrate into smaller, smarter imaging systems, scientific instruments, medical devices, aerospace and defense systems and more.